This movie was about sands, sands, and lots of sands! That's it! End of the review! Just kidding! 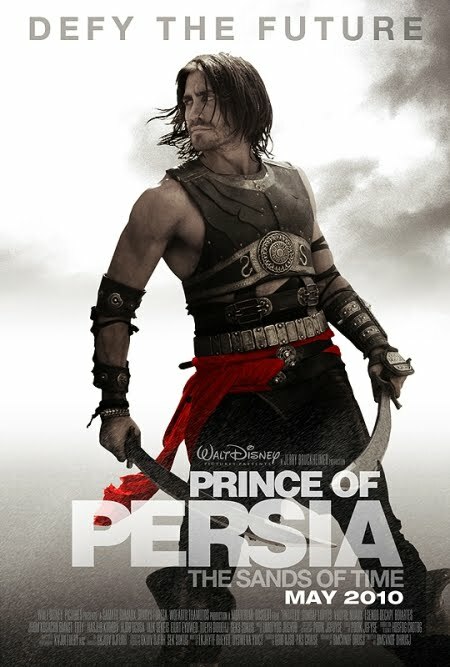 Jake Gyllenhaal, for starters, made an uncanny resemblance to the protagonist Dastan. Add some Gemma Arterton to the cast and this is enough to make me watch the movie. Kidding aside, those two mentioned gave justice to their characters, which I might say failed on some video game movies from the past. The story was taken from the game but departed midway. Which, in my opinion made things better. The ending may or may not be predictable to some, but it was a huge difference from the game. The fight scenes were cleanly executed and the added parkour (the wall jumping shinanegans) added some eye candy. Speaking of eye candy, The special effects may be just a handful, but the "bullet time" effects was my favorite and it's simple but clean. The music was fantastic, as expected from a Walt Disney production. So if you like war, babes, bullet time and parkour, this movie is definitely for you.